I've been reading Remic's stories for a number of years now. His Clockwork Vampire Series is heroic fantasy at it's very best. What I didn't realise though was how much he has grown as an author since, that is until I discovered A Song for No Mans Land on Amazon. I've always been a fan of world war media, partly as a result of studying it at school. A Song for No Mans Land is set in the first World War and follows Robert Jones who signed up with a vision of honour and glory, only to find misery and pain. When he doesn't believe it can get any worse in the cold, wet trenches of mud and hard rain of bullets, he finds himself confronted with a shapeshifting nightmarish enemy and fighting an impossible war against things that shouldn't exist. It's a dark, oppressive and brutal story that captures the tone of the war perfectly. It's also incredibly well written, Remic manages to tug at the readers heart-strings and immerses them in the ravages of war. The fantasy aspects are masterfully underplayed, with well-placed flashbacks providing some insight into the protagonists link to the supernatural and gently introducing a fantastic link to the present. It's a lean book, novella length really, but the author wastes no space at all. 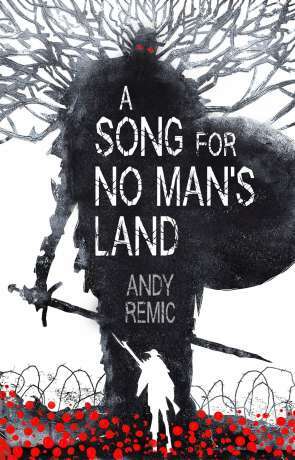 A Song for No Mans Land is simply incredible, powerful, compelling and sobering fiction that really moves you. I simply can't recommend this enough. Written on 15th September 2017 by Ant.